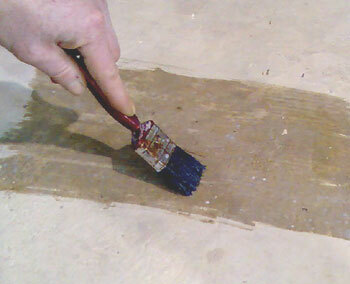 DIY Tanking - Tanking Damp Floors & Walls. What is the difference between Lining and Tanking? Tanking Liquids - brush onto damp walls and floors - no smell, no solvents. What does Tanking Slurry look like? Tanking slurry, applied by brush. What does Epoxy Seal Coat Clear look like? 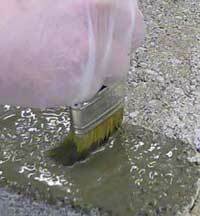 Clear Epoxy Seal Coat being brushed onto Concrete. 1. Loose lay - ready for laying boarding (chipboard, plywood) or for concrete and concrete screed - click to view details or buy - Kontract Membrane (7mm thick) - insulation can also be added. Dimples against the floor - creates an insulating air gap. 1. Fix with bang in plugs - ready for battens, insulation and plasterboard - click to view details or buy - Kontract Membrane (7mm thick) - insulation can also be added. Tanking - a liquid coating that seals the wall or floor - it must bond to the wall or floor material, so surface preparation is important. Used above ground it may drive any damp upwards and sideways. Some are full vapour barriers (Epoxy, Polyurethane), some are not (Cement based), so the final finish may have to 'breathe' (if you choose a Cement Based System). Great on new blocks and concrete - not good on old, rough, 'salty' walls or floors. Dimpled plastic Membrane Linings - with an Air Gap - dimpled plastic sheeting that has a built in air gap, or cavity, because of the dimples. Does not need special surface preparation, does not drive damp upwards. Fixed with plastic plugs fitted with Neck Seals or Mastic Rope. It is a true Vapour Barrier, so any finish can be used. Good on brick and uniform stone walls, not good on loose or very hard stone walls. 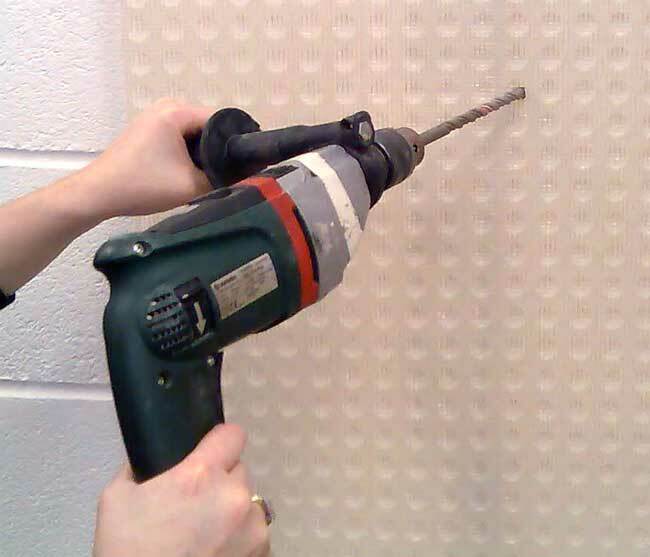 Dural Wet Room Membrane Linings - without an Air Gap - dimpled plastic sheeting that is fixed with Tiling Adhesive. 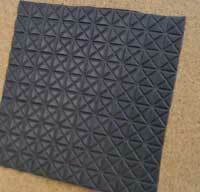 It is a true Vapour Barrier, so it can be Tiled. Acts as a waterproof layer to protect rooms below or alongside Wet Rooms, Showers or Bathrooms. Good on smooth concrete, plasterboard, plywood or brick, not good on random stone, loose or powdery surfaces. 1. Choose your Problem from the list below and ring 01626 331351, or click on the suggested product to view. 2. Our damp experts give you free help to decide which product is best for your job. 3. We give you a free costing and parts list. 4. If you go ahead we give your free Project Mentoring by telephone throughout the job. 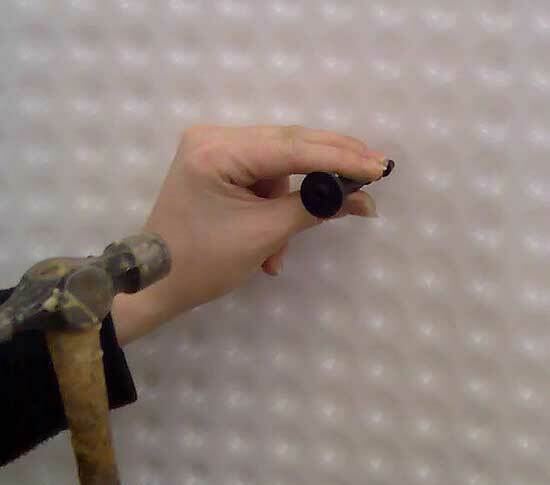 Drill through the Wall Membrane - Bang in the Plugs - Roll out the Floor Membrane, tape the joints. ABOVE OUTSIDE GROUND LEVEL - not in a Basement or Cellar - but only damp, no liquid water. ABOVE OUTSIDE GROUND LEVEL - not in a Basement or Cellar - but, sometimes you can see Liquid Water - its really wet. 1. Wet Floor above outside ground level - you probably have one of three types of water leak - call us, on 01626 331351, or use our leak finding Check List. Advise your Insurers. 2. Wet Walls above outside ground level - you probably have some kind of Penetrating Damp - call us, on 01626 331351, or send us photos. BELOW OUTSIDE GROUND - partly, below damp proof course, or in a Cellar or Basement - but only Damp. BELOW OUTSIDE GROUND - partly below damp proof course, or in a Cellar or Basement - you can sometimes see Liquid Water, its really wet - may come and go with changes in the weather. b) No Drain available - for laying chipboard or concrete/screeding over - Kontract Membrane plus Sump & Pump Kit and drainage accessories. Call us on 01626 331351 for help and Project Mentoring. 1. Because we supply Membrane Waterproofing Kits priced by the Square Metre - you only buy exactly what you need. 2. We offer Free Project Mentoring - all the help and advice you need. 3. 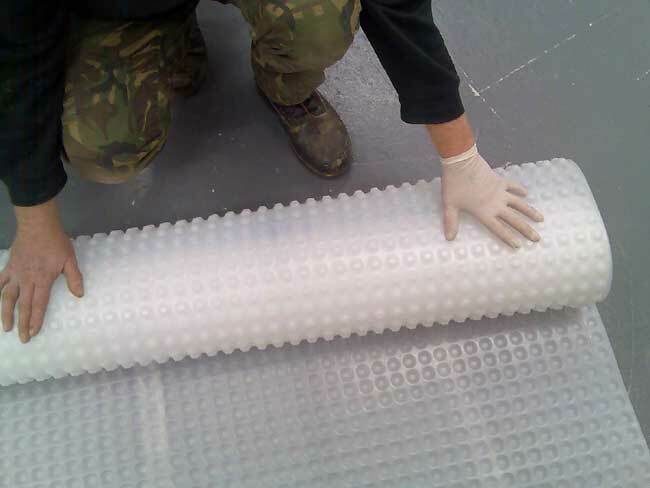 We assemble your chosen area of Membrane, quantities of plugs and seals, tape and mastic, to provide you with exactly the Kit you need for your Project - no need to waste money on complete rolls or full boxes - just give us the wall and floor areas or dimensions and we will give you the most competitive price for your exact needs. 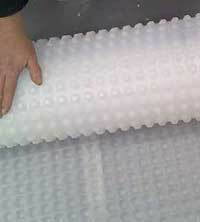 What does Damproofing Membrane look like? 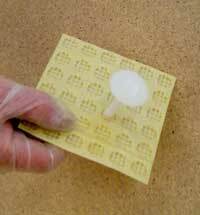 Kontract Membrane - for Battens, Mesh membrane - for plaster, Slimline Floor - for carpet. We have answered all the common questions in the form of a Membrane Tips Sheet. 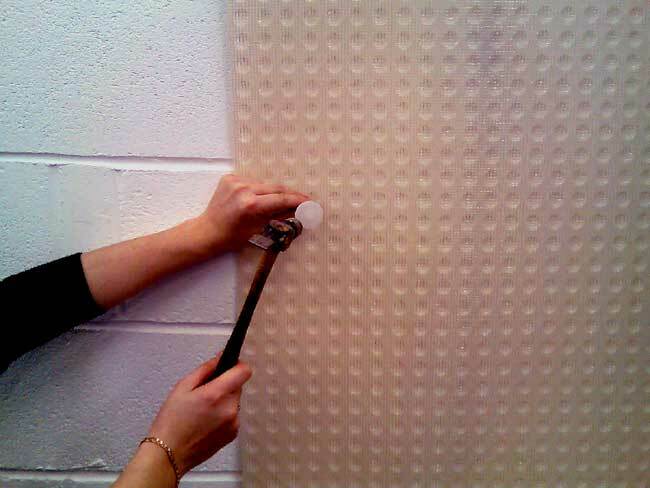 Click here for Kontract Membrane Tips - for insulating, battens and plasterboard.